See the silver lining, not the cloud! As a comedian with over 25 years of experience working in clubs, college campuses and conferences/conventions in nearly every state, I've appeared on XM/Sirius, CNBC, CMT, C-SPAN and, briefly, on NBC's "Last Comic Standing." Let me entertain you! After more than 25 years of entertaining audiences nationwide, Doug Hecox has established a reputation as a comedian's comedian who can tailor his show to suit any audience. Using clean material, Doug draws on his varied past -- which includes growing up in a small town, working for a prison, an oil refinery, a shopping mall, a university, and even Congress and the White House -- to shine a light on the challenges, and fun, of the 21st century workplace. He was the first comedian to perform in Washington, DC, after the terrible 9/11 tragedy, and -- as he wrote in the Washington Post -- helped the nation begin to heal. He has recorded two comedy albums, written two humor books, and has performed in nearly every state -- as well as on a paddlewheel riverboat and a bus as it sped down I-25 south of Denver. He was also voted the "Best Performance Artist" by the Washington City Paper in 2015, and the "Best Twitter Personality" in 2015 AND 2016. Let him entertain YOUR audience! 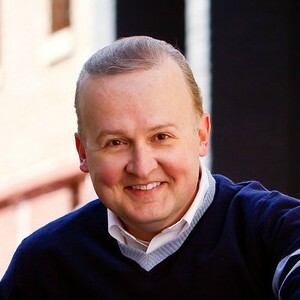 Find out more about Doug Hecox, Comedian at https://www.DougFun.com.